This week we have been in Nashville hanging with our friends at The Peach Truck to come together and hold a Simple Evening. Sometimes things align perfectly even though in the moment they feel as if they never will, and this time that was true. The dinner came off without a glitch, and I have to say it was my favorite to date. Everyone around the table brought something special that night whether it was a simple salad to share, the actual table and benches, or their singing voices and guitar picking skills. This group was amazing and full of joy and creativity. These are the things I love about coming around the table each time at our Simple Evenings. Sure the decor was beautiful, but to me the most beautiful and meaningful part of these dinners are those that gather for that one night to enjoy a drink or two, great food, candle light, and the company of new and old faces. I truly cannot wait to share the photos and video with all of you in the coming weeks. You can see instagrams here of the evening thus far, but thanks to Parker Young we will have some amazing and gorgeous photos to share in the coming weeks. Today we are headed home to Raleigh for some Memorial Day fun of low country boils, sweet tea, and lots of house hunting. We have 2 more weeks till we head North for the summer and we are soaking up all of the South we can until we return to Raleigh in the early fall. Hope you have an amazing Memorial Day Weekend and celebrate the entrance of summer properly. Above: We enjoyed some massively good paletas from Las Paletas in Nashville. So much yum!! You have to make sure to go next time you are here!! i live in nashville and was raised here, such a special place. Love Las Paletas! Great story of your passion turning into your business and a delicious one at that! Cash and I love Las Paletas. The most unique flavor I’ve had was avocado. Glad you all had fun in Nash! I enjoy looking at your blog and pics! I LOVE this picture and that you guys really enjoy your time together. It’s so refreshing to see couples working together and enjoying life! Sounds like a great time — and LOVE that font! What is it? Thanks! It is just my own hand lettering. Hope you has a fab time in Nashville… love the shot. 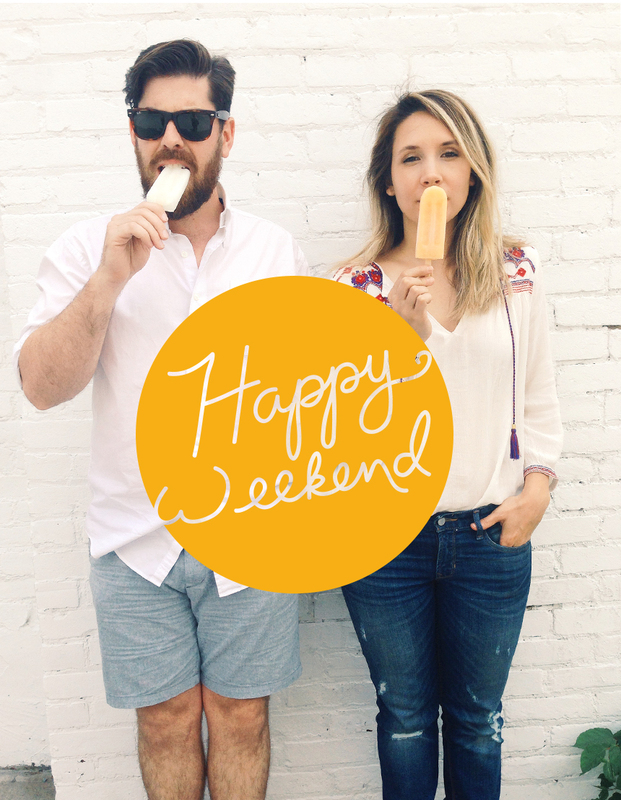 Between The Peach Truck and King of Pops, the south has mastered the popsicle.